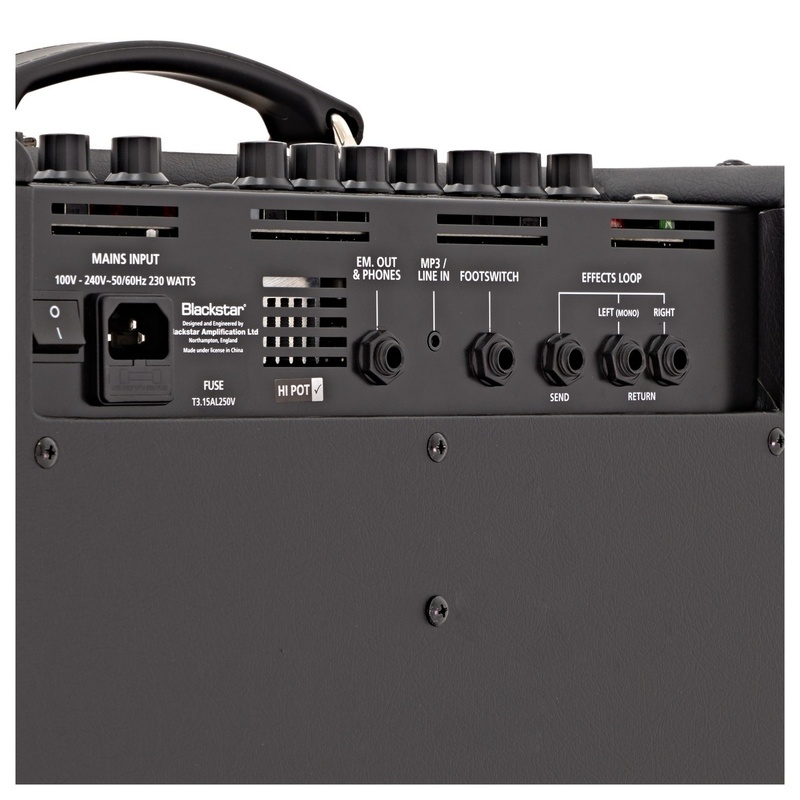 The Blackstar ID:Core Stereo 100 Combo is an extremely versatile and powerful combo amp, that is packed with a wide variety of features within a lightweight unit. The ID:Core 100 features two 12" 50w sub woofers for 100w of pure power, packing the same punch and tones found in professional valve amps. The 2 sub woofers offer stereo wide audio for an immersive sound. 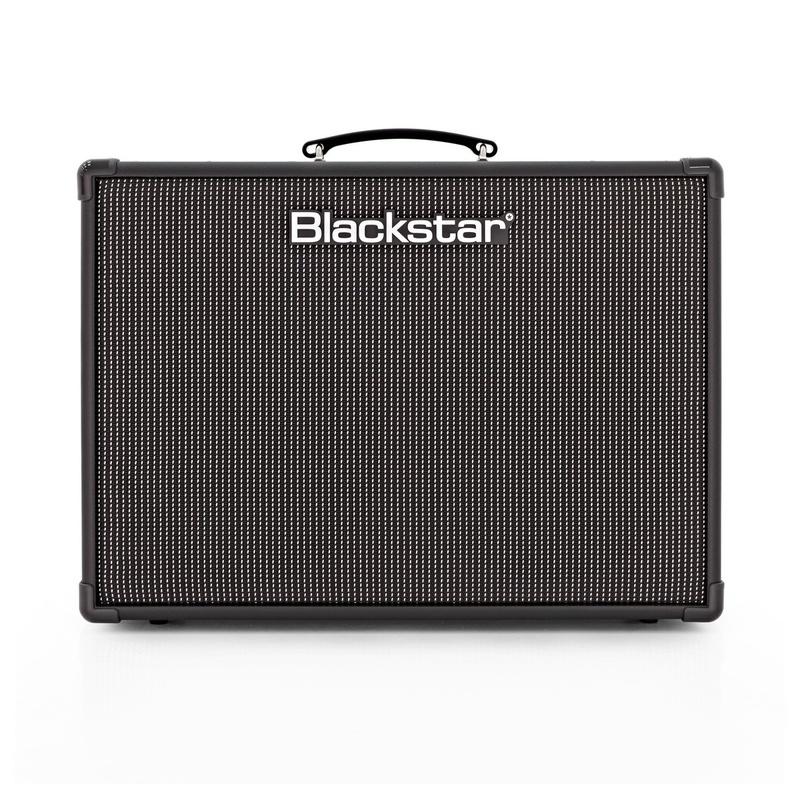 With its digital technology, the Blackstar can be used for playing live with, or for practicing at home since you can turn down the volume without losing any sound quality or power. Blackstar's ID:Core amp comes packed with 6 voices and 12 effects for altering and creating your sound. The 6 different voices that the amp offers are; clean warm, clean bright, crunch, super crunch, overdrive 1, and overdrive 2. Between the different voices and effects for adding reverb, delay, or modulation, the ID:Core can pull off a variety of different musical styles, from blues and jazz to heavy metal. The amp also features Blackstar’s patented ISF technology which provides the option to change the amp's style between USA and British for even more variety in your sound. The Blackstar ID:Core features two new features that the previous ID:Core amps didn't feature, an in-built looper and an octaver. 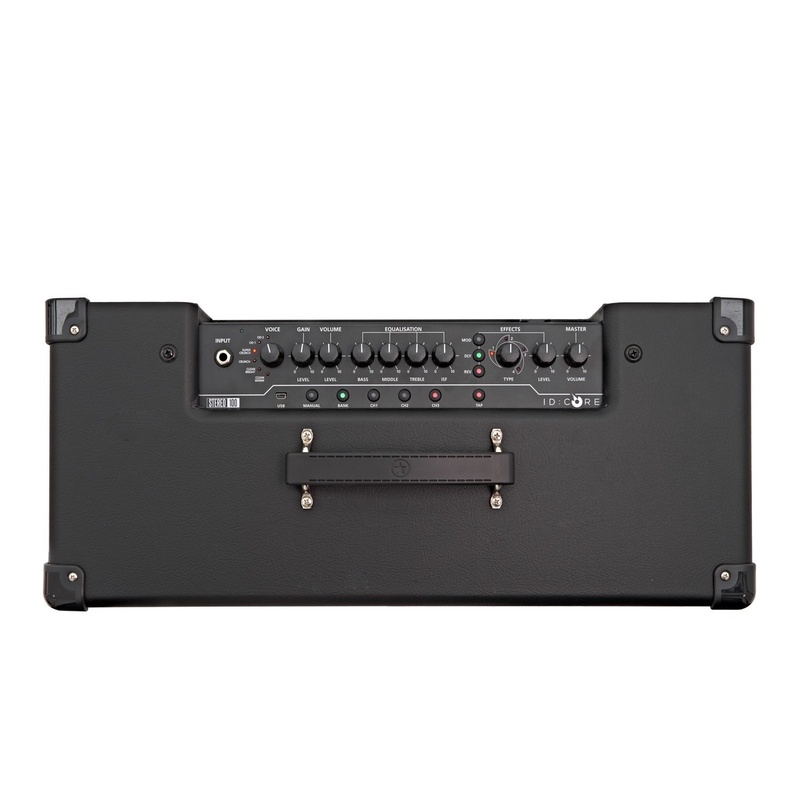 The octaver effect provides the amp with the ability to change its sound to either a higher octave or a lower octave for a wet/dry mix. The looper on the other hand provides the ability to loop over 30 seconds with infinite overdubs, perfect for jamming at home. The looper is controlled with a two button footswitch for easy use, and there is no latency from the footswitch. The Blackstar emulated output design is a new benchmark for pro direct recording. The no-compromise design makes it easier than ever to get your sound directly recorded without the need for a microphone via USB. The amp also provides an input for plugging in mp3 audio devices to enable you to play your favorite music through the amp to play along to. 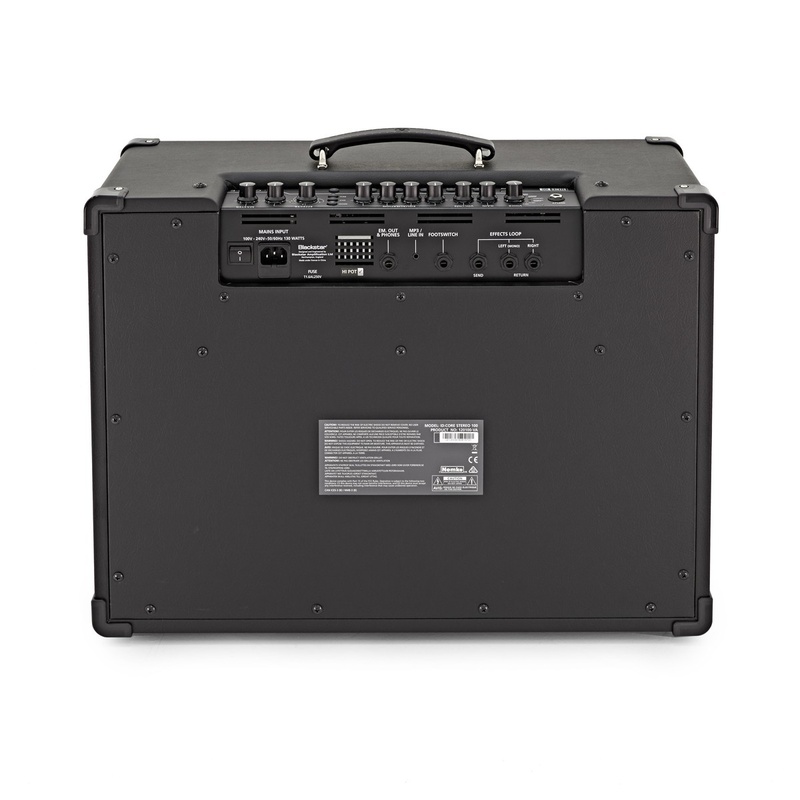 The ID:Core 100 is equipped with a USB input for connecting the amp with your computer or Mac. Once connected the insider software allows for deep editing of your patches, storing the ones you’ve created, and importing patches you’ve downloaded from the online community. In-Build Looper with Infinite Overdubs. Blackstars Patented ISF Control for Switching Between USA and British Amp Styles.